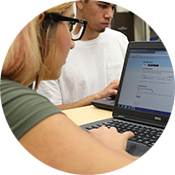 Gavilan College Contract and Community Education (CE) incubates classes in enrichment and career skills, developing relationships to put the community back into community college and education. Susan Sweeney, new Director of Community Education and Career Pathways, brings her ability to develop programs to CE. She started with the college as interim associate dean of Disability Resources in 2004 and took on leadership of the CalWORKs program in 2005. She transitioned to CE in April 2017, filling a position vacant for the past 18 months. 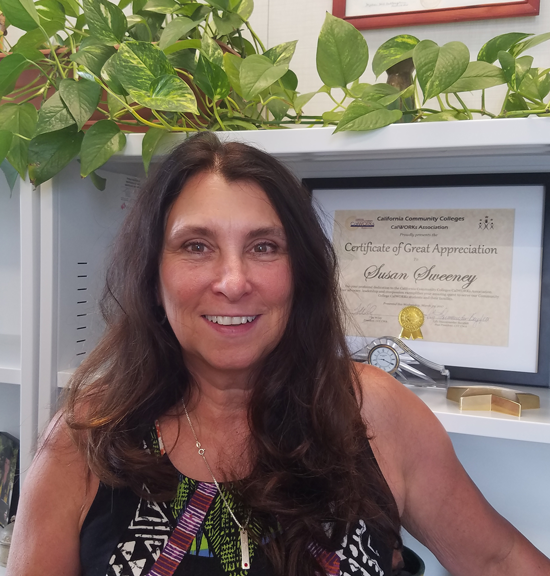 She is working with the experienced team of Rosie Armstrong and Cindy Gonzales in Community Education, as the department transitions to a new home base at the Coyote Valley Center. ""I expect to do a lot of development, enrichment and Career Technical Education partnering," Sweeney said, noting that community education flourishes as the economy improves. Contract and community education offer the opportunity to explore new classes and programs, based on community outreach and employer assessments. One incubated program, Water Resources Management, drew widespread interest as the statewide drought worsened. "This is an excellent example of the incubation process in community education," said CE Program Specialist Rosie Armstrong. 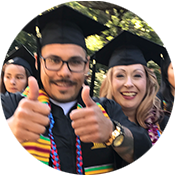 As it continued to fill classes through several semesters, the program transitioned from the Community Education umbrella to both a Gavilan College certificate and AA degree, with CSU transferable units to four-year schools. In the health services area, Gavilan offers a Phlebotomy for Medical Professionals course, responding to the demand for trained medical personnel to draw blood. Certified phlebotomists are employed at hospitals, diagnostic labs and doctors' offices, and the U.S. Bureau Labor Statistics projects 25% employment growth over the next 10 years. Workplace Spanish for nursing professionals and Spanish for Medical Professionals (online) are new classes. For families who care for others in the home, a Home Health Aide certificate class teaches safe care practices. The weekend motorcycle skills class continues with solid enrollment, and an advanced class is in the plans for the future. Students and families look for a break from the regular school year and intensity of academic pursuits. Gavilan College CE offers classes in leisure, health, fitness and the arts. This summer, a series of yoga classes are tailored to students seeking different experiences. Chair yoga is for people with health issues. A mindfulness class is for people looking to pair yoga with practices to decrease stress. And newbies can ease into their own practices with a beginning yoga class. For people who want to learn new dance steps, three classes are offered by Sera Hirasuna, a classically trained dancer who also teaches English at Gavilan. For the entire family, Hawaiian hula emphasizes music and culture, as hula is considered a cultural activity. For adults, either Salsa and American Tango or the Waltz, Rumba and East Coast Swing will put new swing into your dance floor moves. Writers can take a new class, Memoir Writing, taught by a published memoirist who believes everybody's story matters and teaches free writing, dialogue and the craft of revision. Artists who want to get out of the studio can take a three-day Plein Air watercolor class. Class starts on the park like grounds of the Gilroy Gavilan campus on the first day, then moves to the San Juan Bautista Mission on the second day and a local farmer's market on the third. Community Education and CTE provide outreach to discover what employers need in job skills, then develop classes to support local business and train new employees. Technova, a Hollister company focused on products for the molecular biology research market, wants to attract new employees, and they will partner with Gavilan CE to recruit and train them. Students will receive biotech training at Technova facilities, and Gavilan will manage the classes. The partnership opens up a new biotech program which can be expanded to include math, opening pathways to mid-level jobs, a bridge to high school students, and Gavilan College partnering with workplaces to train the next generation of employees. Community Education is also developing partnerships with high schools in the district. This summer Community Education is offering a class in Beginning Metal Repair and Welding, using the facilites at Christopher High School in Gilroy. The class is full and there is a waiting list. The CE staff recently relocated to the Coyote Valley campus. At the Gavilan College District's northern edge, the program will outreach into the South San Jose area to determine educational needs, while continuing to serve the entire district. Their new phone number is (408) 229-4201. That phone has been ringing with students eager to sign up for the Certified Phlebotomist Training program, the welding program, Pharmacy Technician Training, and more. "Community education is an incubator for many new classes," said Armstrong. "We are always working on something new in the playbook." Download the summer catalog of classes offered.